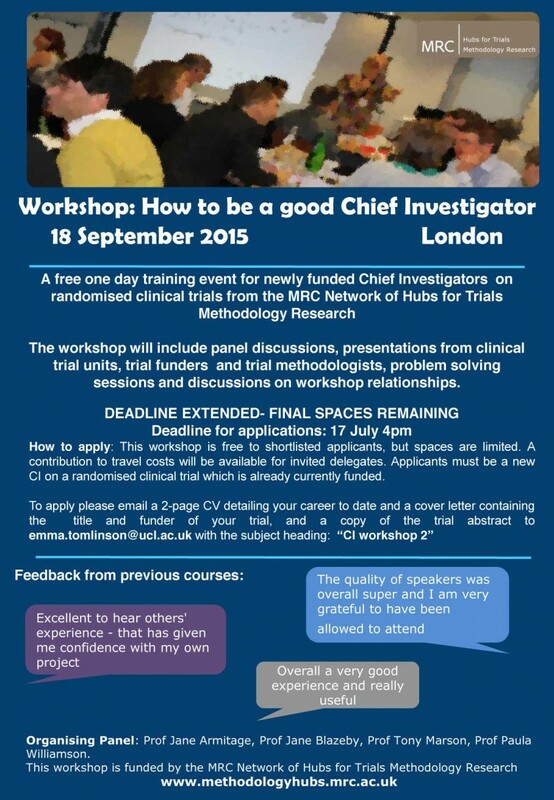 Please click on the link below for a flyer for an event entitled Workshop: How to be a good Chief Investigator – on 18 September 2015, in London. The event is organised by Professors Jane Armitage, Jane Blazeby, Tony Marson and Paula Williamson. Please note spaces are limited and you will need to apply to be shortlisted. Only shortlisted applicants will be invited to attend. The deadline for applications is 17th July at 4pm. More details on how to apply are on the flyer.